This is a very dark to black ale, with toasted coffee and toffee aromas. It has a warm coffee taste with a toasted coffee and chocolate bitterness. It is an excellent porter style ale. 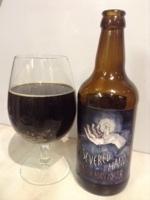 This ale is brewed with toasted a chocolate malts and is brewed with Icelandic roasted coffee. An interesting and successful Icelandic brewed traditional ale originating in the pubs around the traditional London markets. 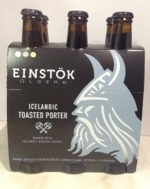 This 6 Pack of Icelandic Toasted Porter was was a much appreciated present, brought back from Rekjavik by my son on a visit to see the Northern Lights. This is a very dark brown ale with coffee aromas. It has a strong coffee taste, with a smokey flavour and a sweet background. This Is a very good and unusual porter. 5*. 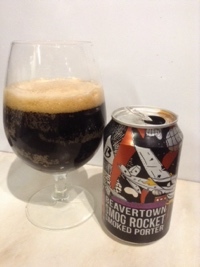 This is a dark chestnut coloured ale with a sweet toasted malt and coffee aroma and a hint of plum fruits. The taste is coffee with a hint of hazelnut, starting with sweetness leading to a light bitterness of coffee. This is a good porter, being on the mild bitter side rather than a sweeter porter ale, from this Yorkshire brewery. This porter does include chocolate in the recipe and is the second porter tried that includes chocolate. 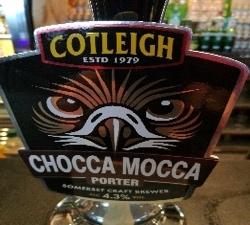 The brewery states this is a Victorian style porter, originally brewed in 1826 to celebrate the opening of Thomas Telford’s suspension bridge in Conwy; brewed as a winter seasonal ale. Conwy Brewery is based in Llysfaen, close to Colwyn Bay in North Wales and has been brewing since 2003. As well as traditional British ales with a Welsh character, they also produce a small range of craft ales based on those found in California.